Reliable technology and a rugged design: microScan3 Pro safety laser scanners are at home in harsh industrial environments. 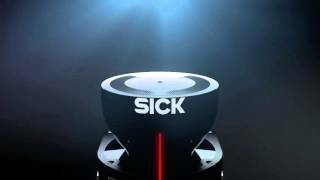 Even in environments with dirt, dust and ambient light, the new generation of scanners shows how extremely resistant it is - thanks to the safeHDDM® scan technology, aluminum housing and well-designed fastening concept. 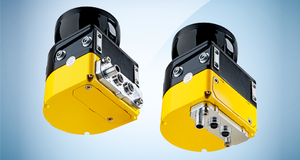 Intelligent functions: Simultaneous protective fields, contour detection fields or measurement data output - with the help of the intelligent functions, the sensor settings can be optimally adjusted to the different requirements. 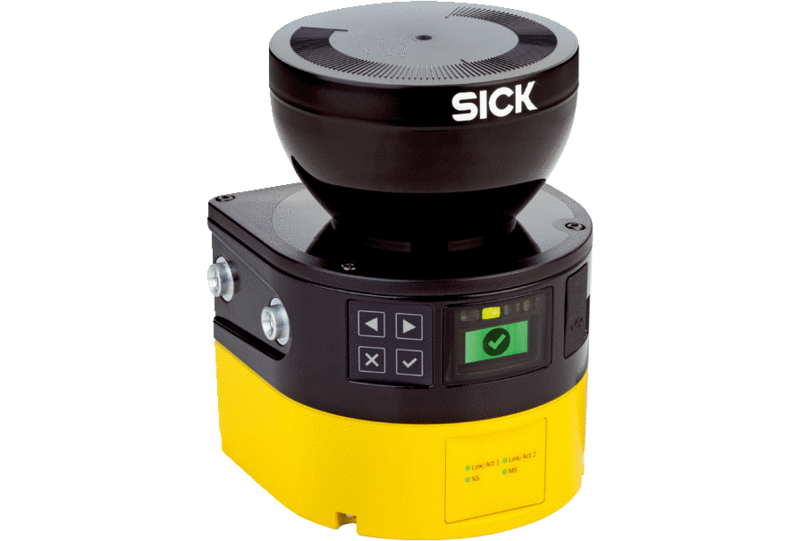 With the microScan3 Pro, SICK is expanding the product family of the microScan3 safety laser scanners - perfectly suited for safety and navigation in mobile applications as well as the intelligent protection of complex stationary applications. 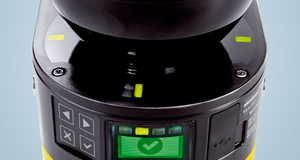 The innovative safeHDDM® scanning technology increases the reliability of the microScan3. It is outstanding in dust and ambient light. 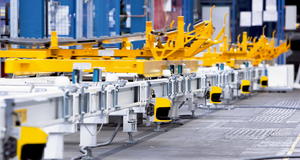 It increases the productivity and availability of machines. Smart connectivity facilitates safe integration into networks and cuts cabling costs. 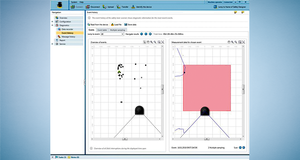 Using Safety Designer software, the microScan3 can be intuitively configured and commissioned. The operational status can be called up and read on the display or via the network. What can first impress, and repeatedly generate enthusiasm? 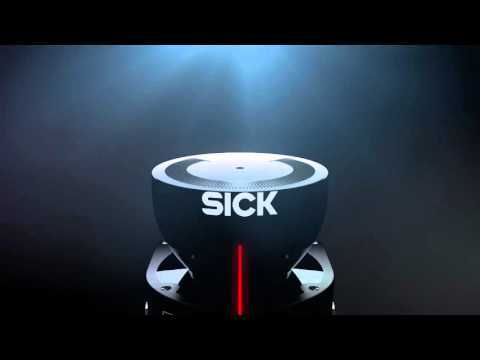 The microScan3 from SICK. 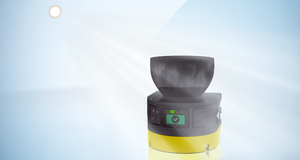 The innovative safeHDDM® scanning technology sets new standards for safety laser scanners. 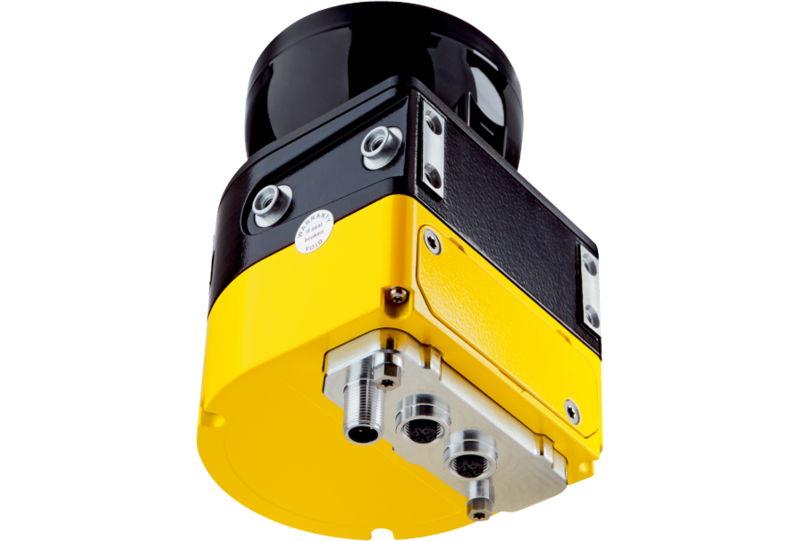 By combining a compact design and a wide scanning range, it ensures that the microScan3 retains its field of view even in challenging ambient conditions. 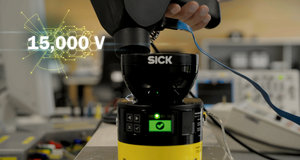 safeHDDM® is based on SICK's proven HDDM process (HDDM = high definition distance measurement). The safeHDDM® scanning technology sets a new benchmark in the analysis of time-of-flight measurement. 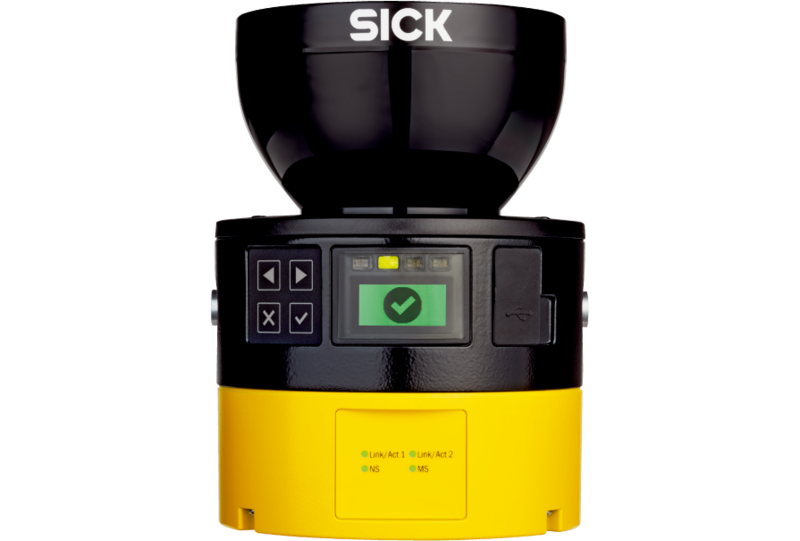 The process patented by SICK delivers unrivaled measurement results for safety laser scanners by filtering and analyzing numerous single pulses. In this way, safeHDDM® enables a very high level of resistance to ambient light and dust. And the most important part: safeHDDM® ensures safety throughout. Even an object with a remission of just 1.8%, for example black clothing, can be recognized safely by the laser scanner. 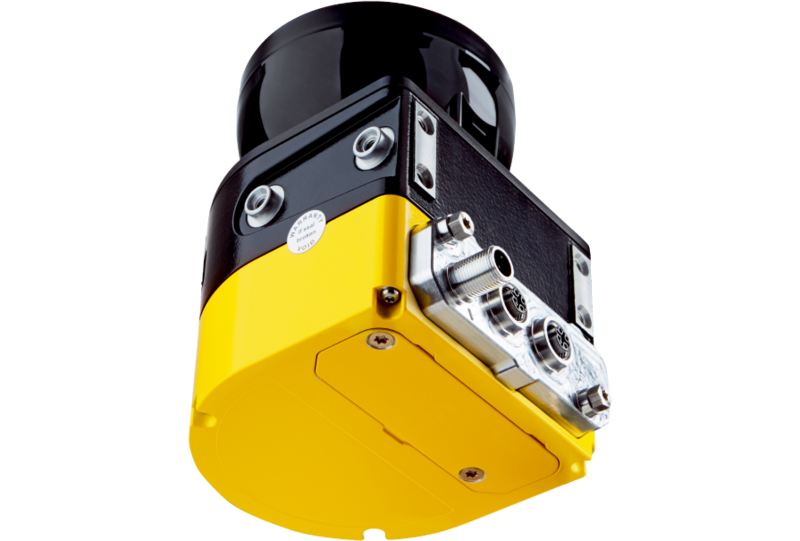 microScan3 – reliable distance measurement based on the principle of time-of-flight measurement With time-of-flight measurement, the sensor emits a pulse beam that hits the target object and then is reflected back. The time that the beam takes to make this journey is evaluated and the distance to the object calculated. microScan3 has a scan cycle of just 30 milliseconds. Thousands of single pulses can be filtered per scan cycle. These single pulses are used by the microScan3 to calculate 715 safe measured values. 275°? 275°! 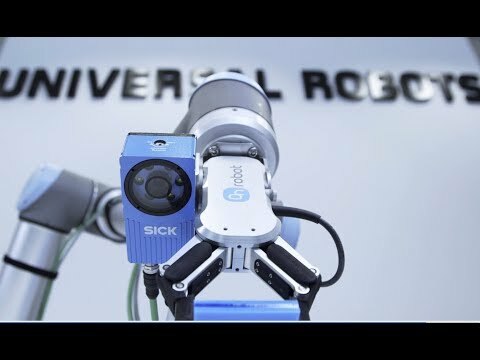 – without a single safety blind spot A significant advantage of a modern laser scanner is that it can be mounted in a corner, enabling the monitoring of two sides of a machine. A scanning angle of 270° is theoretically enough to cover this. 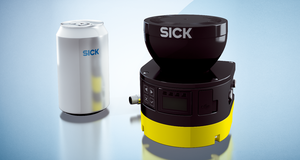 Yet SICK goes one step further: The microScan3 is the first safety laser scanner to reach 275°. Without this extra 5°, inaccurate mounting of the laser scanner can easily lead to a safety blind spot of almost half a meter. The microScan3 makes this problem a thing of the past. See how rugged the microScan3 is in use. The microScan3 is highly practical as it is not affected by additional laser scanners or other infrared sources. The microScan3 is resistant to dirt, dust and ambient light. 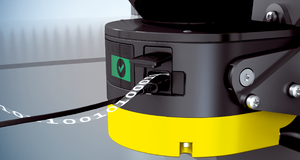 The microScan3 is significantly more reliable than standard measurement techniques thanks to the safeHDDM® scanning technology, thus increasing your productivity. 20 years of experience with safety laser scanners in harsh industrial day-to-day work has been incorporated into the development of the microScan3. It has a high load capability and is characterized by its durability. The compact light metal die-cast housing of the microScan3 impresses in harsh industrial day-to-day work too. 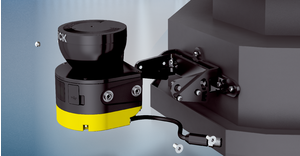 The vibration-resistant mounting systems of the microScan3 enable easy fixing. Electromagnetic compatibility as standard: electronic components of the microScan3. 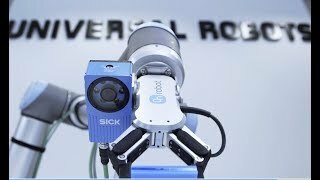 The microScan3 has been developed with demanding and harsh industrial applications in mind down to the last detail. It is the perfect combination of safety and productivity. Reliable integration of the microScan3 via a network or I/Os – quickly and easily. Secure communication, convenient configuration, and diagnosis either remotely via laptop or centrally within the network. The microScan3 uses standardized plug connectors and is easy to replace, thereby saving time and keeping costs low. 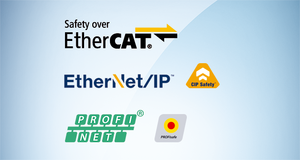 First safety laser scanner with CIP Safety™ over EtherNet/IP™. The Mini-USB interface enables the microScan3 to be configured and diagnosed quickly using a laptop. Flexible and fast installation thanks to the removable system plug with integrated configuration memory on the rear or bottom of the device. The microScan3 facilitates machine integration and device replacement through standardized interfaces and integrated configuration memory, thereby saving you time and money. Intuitive configuration and convenient commissioning using the Safety Designer software. The multi-colored display clearly indicates the operational status of the laser scanner. These details and additional information, e.g., on the checksum or an interruption in the protective field, can be easily accessed at the touch of a button and are displayed in cleartext. The LEDs and the multi-colored display of the microScan3 are clearly visible. Important diagnostic data can be viewed via the pushbuttons and display. 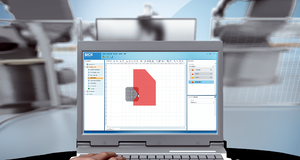 The configuration and diagnosis software Safety Designer is easy to use. Fast analysis of past interruptions thanks to event history. Information about the point in time and place of interruptions is saved. The microScan3 is intuitive to use. After the Safety Designer software has been configured, you can carry out device diagnosis during operation using the display and pushbuttons.